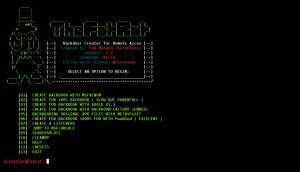 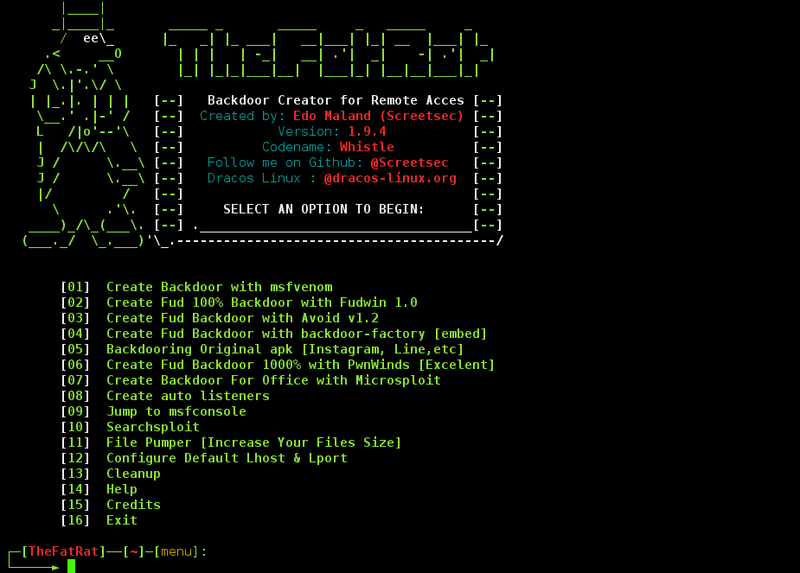 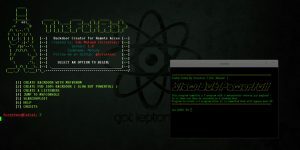 Browse: Home / TheFatRat v1.9 – Backdoor Creator For Remote Access. 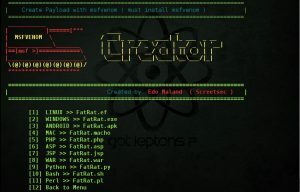 + v1.9.0 – Backdoor APKS have a new payload hiding method in rat apk to not be detected . 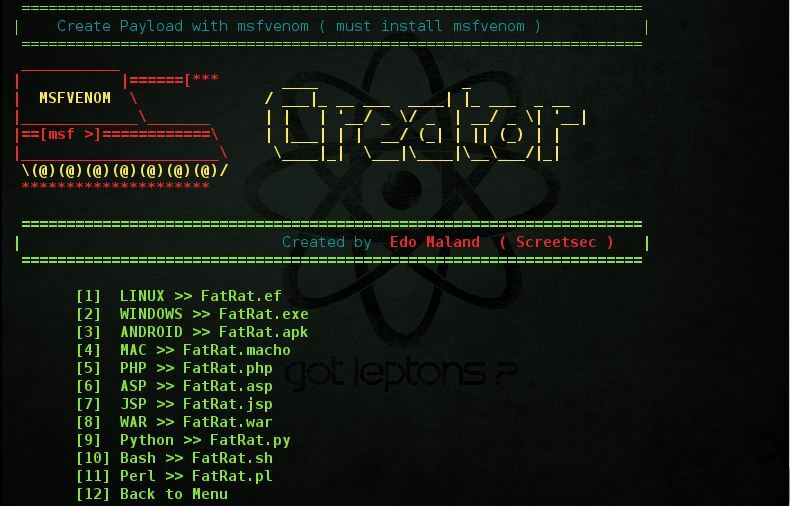 ← APacket – Sniffer syn and backscatter packets.